Not sure how I missed this, but an interesting article here about towed decoys.. I find the interplay of active ECM and decoys on the F-35 as interesting. At least in the short term I think F-35 will not need to employ decoys or jamming against targeting radars. I do wonder how much tactics will change with search radars. Typically, stand off jammers have been used to support strikes by stealth fighters by masking the ingress and egress of strike packages. I am not sure if it is wise to have the F-35s to perform this function. It would require the F-35 to fly relatively closer to the emitter to generate enough power to temporarily blind the radar. Relying on another platform for jamming support enables the F-35 to better mask its route. You could task F-35s to serve as stand off jammers, but why would you want to do that when you have EA assets? Like what's on the fa-18ef. Calling it a towed decoy is really selling it short. There is no reason not to have it as a receive and transmit antenna, to play a larger role in the EW system. It's like a towed array sonar and all that that indicates. Seems like it will be more useful in the SEAD role, allows a couple F-35's to become juicy targets with the ability to just wind the array back in and go stealth again if the environment get's to hot. While there fully stealthed buddies are hunting down anything searching for the fake targets. Basically a on-demand MALD that's reusable (or at least the article implies they are reusable). Does the SU-35 make use of such things? I googled SU-35 towed decoy, and didn't see where they had a similar system - at least built into the jet. Pods yes. Internal, no. "Khibiny" system does not use towed decoys, as far as I can tell. "Khibiny" is an umbrella term for two components: SIGINT (internal) and jammer (podded). The jammer uses vaunted "active stealth" approach to either hide the target or create enough false targets through DRFM - mirroring illuminating signal. There are several versions of "Khibiny" system, which are mounted on Su-34 (original gangster, "Khibiny-V"), Su-35S ("Khibiny-M") and Su-30SM ("Khibiny-U"), the latter supposedly being the most advanced version. Russian sources say that active jammer component of Khibiny-U, the "SAP-518 Regata" (SAP = stancija aktivnyh pomeh/active jammer) will be upgraded as a result of "Syrian experience" to the new SAP-518SM standard. The upgraded version for Fullback also supposedly has "collective defense" functionality, meant to protect entire flight of four(?) Fullbacks. For all the bravado Russians write about the "Khibiny" keep in mind that this is yet another system they wanted to field in the 90s but didn't, due to collapse of the empire. After 20 odd years they picked it up again. Surely it makes killing Flankers harder for legacy fighters, but this is nothing out of ordinary on modern battlefield. 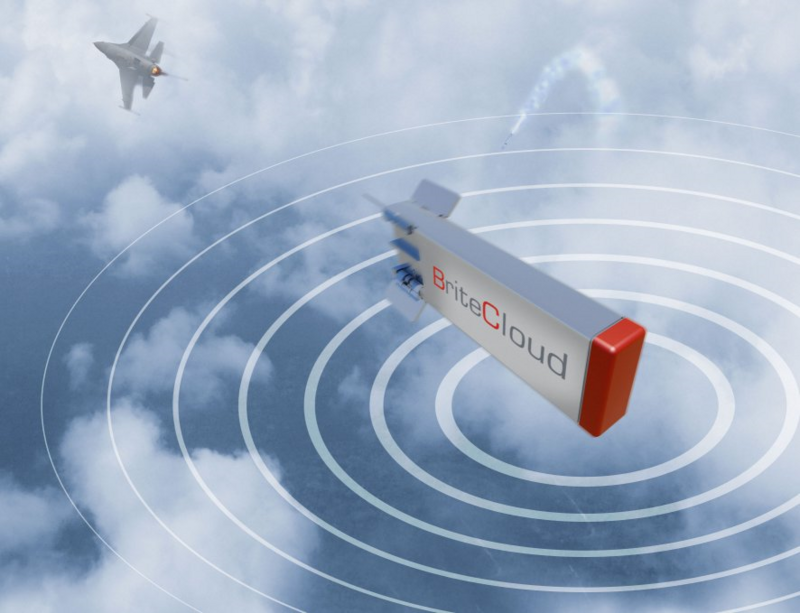 Leonardo has also been working on a new form factor BriteCloud DRFM solution to better fit other fighters so I wonder if they'll position the product as a potential solution for future F-35 needs down the road. Interesting comment about DFRM jamming pods for fourth GEN F-15 aircraft against F-22s from AVM Brown RAAF: viewtopic.php?f=55&t=21808&p=268446&hilit=britecloud#p268446 'popcorn' says for the quote below: "...testimony of Air Vice Marshal Geoffrey Brown before Australian Parliament last May 16  as to the ability of 5Gen aircraft to defeat his F-15 in Red Flag exercises. In his words:"
"...But getting back to the situational awareness, the ability to actually have that data fusion that the aeroplane has makes an incredible difference to how you perform in combat. I saw it first hand on a Red Flag mission in an F15D against a series of fifth-generation F22s. We were actually in the red air. In five engagements we never knew who had hit us and we never even saw the other aeroplane at any one particular time. That is in a current fourth-generation aeroplane. The data fusion and the stealth makes such a difference to your overall situational awareness it is quite incredible. After that particular mission I went back and had a look at the tapes on the F22, and the difference in the situational awareness in our two cockpits was just so fundamentally different. That is the key to fifth-generation... In that engagement I talked about at Nellis, in Red Flag, the ability to be in a cockpit with a God's-eye view of what is going on in the world was such an advantage over a fourth-generation fighter—and arguably one of the best fourth-generation fighters in existence, the F15. But even with a DRFM jamming pod, we still had no chance in those particular engagements. And at no time did any of the performance characteristics [of an aircraft] that you are talking about have any relevance to those five engagements.…"
'popcorn' said: "From recent Parliamentary hearing Down Under, an indication that DRFM jamming may not be effective against the latest AESA radars?" spazsinbad wrote: Interesting comment about DFRM jamming pods for fourth GEN F-15 aircraft against F-22s from AVM Brown RAAF: viewtopic.php?f=55&t=21808&p=268446&hilit=britecloud#p268446 'popcorn' says for the quote below: "...testimony of Air Vice Marshal Geoffrey Brown before Australian Parliament last May 16  as to the ability of 5Gen aircraft to defeat his F-15 in Red Flag exercises. In his words:"
Its the last part that catches me the most..." And at no time did any of the performance characteristics that you are talking about have any relevance to those five engagements." I wonder how the development of the PCA takes shape in regards to this?